Happy Wednesday everyone. Today I have the pleasure of sharing with you a Q&A with author Christine Dibley. Her debut novel To The Sea is a mystery entwined folklore and family drama set in a picturesque Tasmanian town. Hi Christine. Thanks for agreeing to answer my questions for my stop on the To the Sea blog tour. To begin, in ten words or so, how would you describe To the Sea? To the Sea is the story of a young girl missing in Tasmanian waters and the people searching for her, interwoven with a fairy tale which refuses to stay lost in Irish history. Combining police procedures with folklore is not I have come across before as a reader. What inspired you to write To the Sea? I agree, it is an unusual mix of genres. I didn’t plan it at all. I had a vague idea of a drowning girl who believes that when she is gone no-one will truly miss her. I was just trying to teach myself how to write a book not just a short story: how to develop a driving plot, bring characters into relationships and give the characters a history and I wanted to impart a love of place to the reader. I love myths and legends and was told so many Irish tales by my mother when I was a child. To the Sea is where I ended up. I loved the way you described the Tasmanian landscape through the novel. Are the locations you used in the book (especially Rosetta) real? Pretty much. Hobart and the roads to and from Rosetta are all real. And Garnet Point is a small seaside town where my family has a shack. Garnet Point is a fictional name, but I’m pretty sure a lot of people in Southern Tasmania will know where it is. I played a little bit with the coastline and added a couple more islands than really exist and I needed a high cliff close to Rosetta so I created one. Once I changed those few small things, I felt I couldn’t use the location’s real name. But most of the islands, the lighthouses and the waterways are real places. I wrote much of To the Sea sitting on my deck, or looking out my upstairs bedroom window when storms blew in, at my own Rosetta. While my shack is nowhere near as grand as Rosetta, it is real. What kind of research did you do for To the Sea? I have a huge floor to ceiling bookcase in my office holding dozens of books on Irish, Celtic, Gaelic, Norse and Scottish mythology and fairy tales. That same bookcase has shelves devoted specifically to Irish history. And I have read them all. When I am in Ireland, I spend a lot of time in bookshops picking up out of print publications. I wish I could speak and read Irish as I suspect I am missing out on some of the best ones. I also studied Irish History at uni many years ago. I have spent a lot of time in the places in To the Sea so they were very familiar to me. I know the quality of the light, the smell of the air, the moods of the sea and the silences of Mayo and Southern Tasmania.I spoke to police officers and a police prosecutor in relation to many of the procedural aspects of the police investigation. And I talk to people. If you spend time in Mayo and talk to people, and don’t rush them, you will hear the tales. Yes. And I have always written, just for myself, in my free time. I have four children and I had a demanding career, so there wasn’t a lot of free time during those hectic young family years. But one day, I looked at my situation and thought ‘there is nothing holding me back now’ and I began to write seriously. And writing is a serious business. It takes time and hard work and concentration and it took me a long time to get to the point where I had the time to dedicate to writing full time. Now, I couldn’t imagine not writing. I am a bit obsessive when I’m writing. I don’t mean to be but once I have an idea, however inadequately formed, I need to write. So, I usually do a full day’s work, about six to eight hours. Some days are very intense and I can work sixteen hours. Other days, I just can’t scratch out anything. These are my ‘nothing days’ and luckily they are rare. If I am ‘blocked’, I don’t hold with the idea of just walking away and waiting for the creativity to come back to me. I work really hard to figure out what is blocking me and then I chip away at the obstacle until I am writing freely again. I also don’t sleep much when I’m writing. My mind never rests. There are always plot and character problems to solve. I read each of them when I was a teenager and they actually deterred me from writing. I knew I could never achieve such brilliance and so decided to leave writing great fiction to the masters. I had to grow up to understand that to write is human, even if the final result sometimes falls short of the dream. Read. There are just not enough hours in the day for reading. I also love to cook and I have a large and impressive garden which requires far more time and attention than I give it. I spend hours and days at my Rosetta looking out over the water and being in and on the water as much as time and weather permit. And if there is a good Scandinavian police series on TV, I’m in. Do you have any Australian fiction recommendations for anyone who loves to read local fiction? Are you currently working on any new projects you can tell us about? One last question, I read that you enjoy travelling. Where is your favourite place in the world and why? I love being in Ireland and Scotland but I don’t think of myself as travelling when I’m there. I am just there. I never want to come home from wherever I am. But my favourite … it was a toss-up between Iceland and Japan, and Japan won by the slightest of margins. It is nothing like Australia or any other country. It is one of the few places I have ever been that really is another world and a world that can be endlessly explored and delighted in. And if I had to narrow it down in Japan to my favourite place: Kyoto. Thank you again for taking the time to answer my questions, Christine. The characters in To the Sea are interesting to read and I loved the distinct Australian flavour your book has. Best of luck! Born in outback New South Wales, Christine Dibley arrived in Tasmania thirty years ago and has been held there by that strange bond islands weave around their inhabitants. 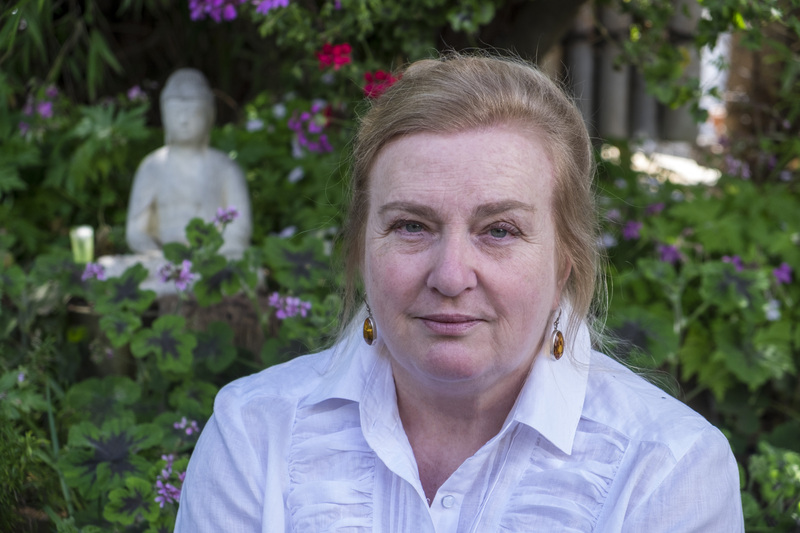 Christine raised four children while developing a career in the human services, primarily working with children, homeless people, refugees and aged people. She resigned her position as a CEO in the health industry four years ago to pursue full time writing. She continues to travel, most recently in Ireland, Scotland and Iceland. To the Sea is Christine's first novel. I have to admit I’m delighted to hear one of Christine’s works in progress has a hint of To the Sea about it. This book is unique and I enjoyed every moment I spent reading it. 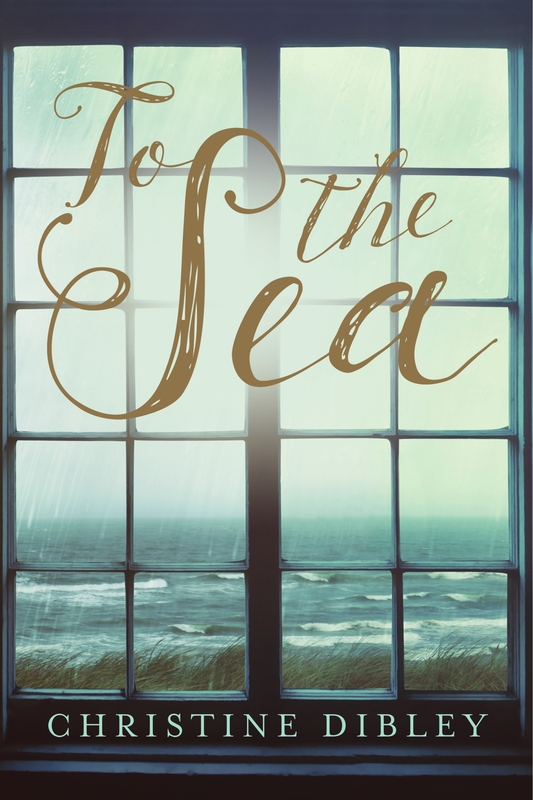 You can also read my review for To the Sea by clicking here.